Description: Famed for the spectacular foliage, Leucadendron argenteum has large, broadly pointed leaves covered in silver silken hairs. They create an eye-catching sight as they shimmer in even the slightest breeze. A fast-growing, small tree to 10 m, it is densely foliaged when grown in suitable conditions and has long branches prized for the cut-foliage market. These should be cut when the leaves are firm to avoid excessive wilting. When grown specifically for this purpose and picked heavily, L. argenteum becomes a squat, dense shrub and produces more pickable material at an accessible height. As with all Leucadendron (and Aulax) this species has unisexual flowers borne on separate male and female plants (dioecious). The female flowers ultimately form large, silver, egg-like cones. Male flowers are yellow and orange, and are vividly reflected in the surrounding silver bracts. 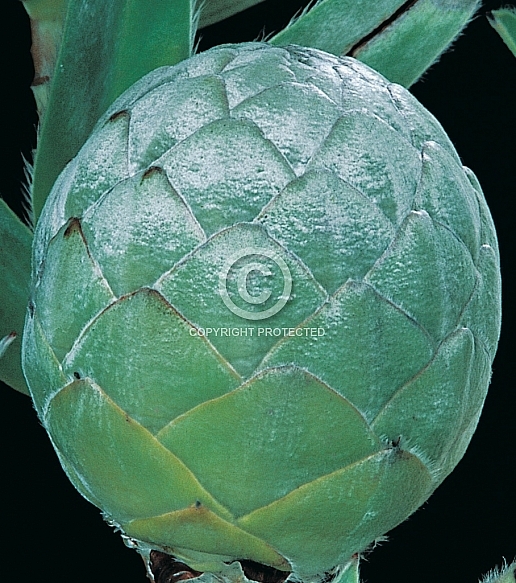 More than most Leucadendron species, L. argenteum requires very well-drained, lighter soils. Frost-tender while young, established trees can withstand frost of -4 ºC and even light snowfalls. This is also a spectacular small tree for coastal gardens.